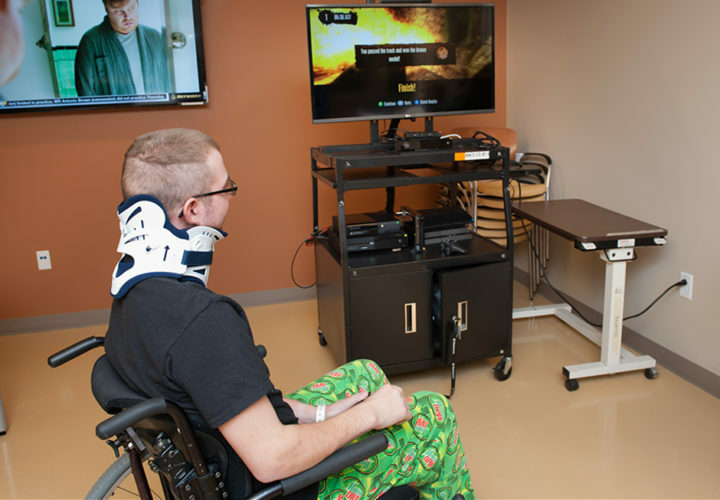 The Therapeutic Gaming program at Craig Hospital is a joint effort of Craig’s donor-funded Assistive Technology, Therapeutic Recreation and Rehabilitation Engineering departments. The project’s goal is to use this popular mode of recreation and leisure to address social, physical and occupational therapy rehabilitation goals. 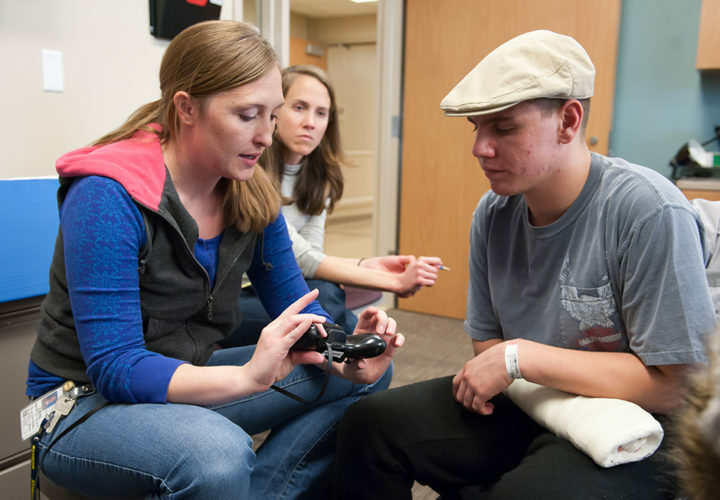 Patients are referred to the program through their occupational, speech, or recreational therapist. 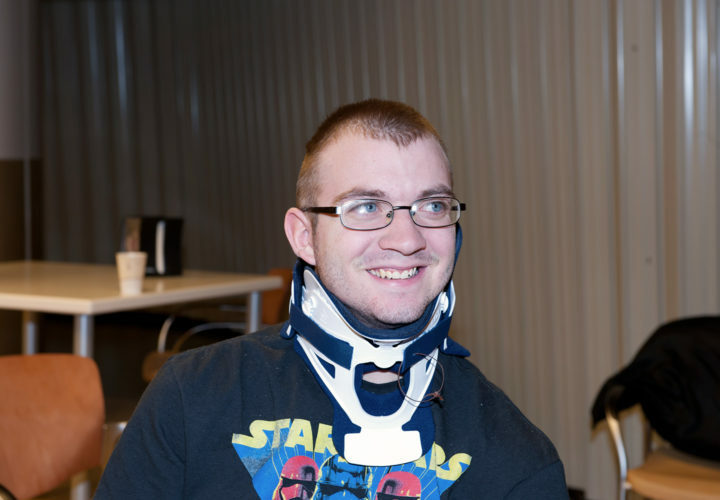 They meet in one-on-one sessions with Assistive Technology therapists to explore their options. 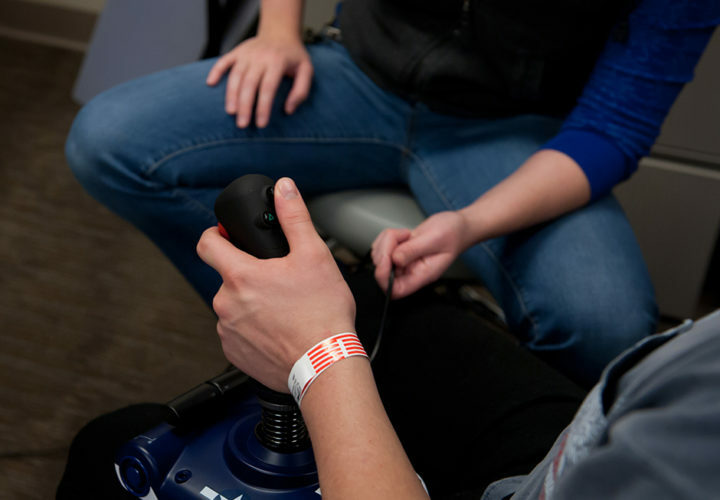 Once a week, therapists host a gaming night in a hospital Bistro, where any patient is able to drop by, check out the equipment, play games and enjoy refreshments. 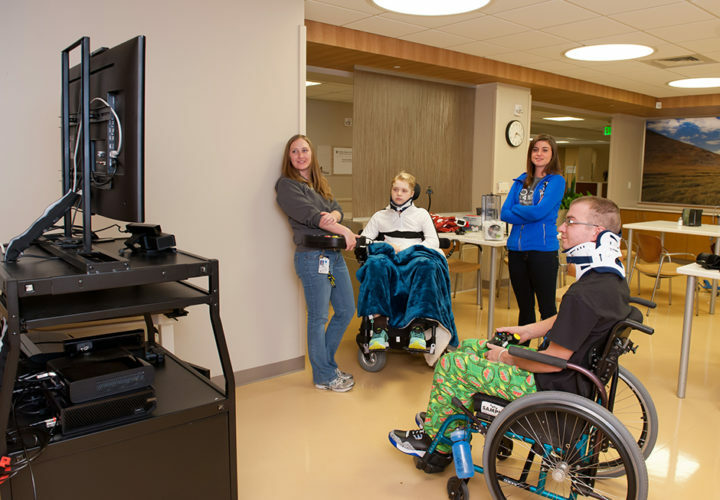 The primary goal of the program is to get the patient access to the game. 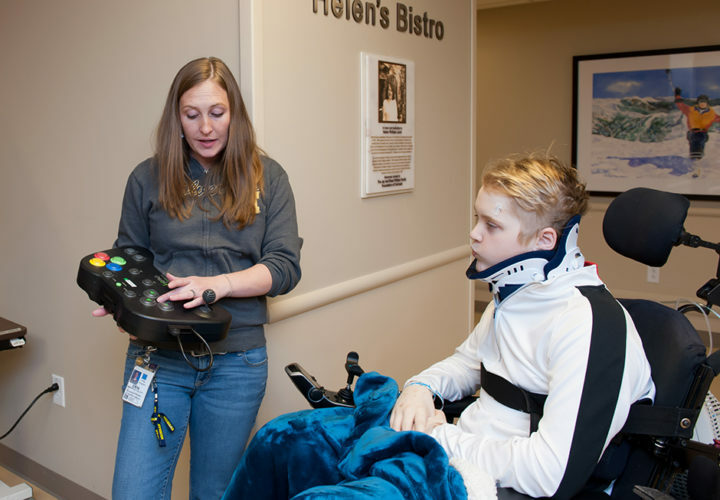 Once access has been accomplished, therapists will modify the experience to make it more challenging, to help the patient work on his or her therapy goals of increasing balance, dexterity, strength or endurance. 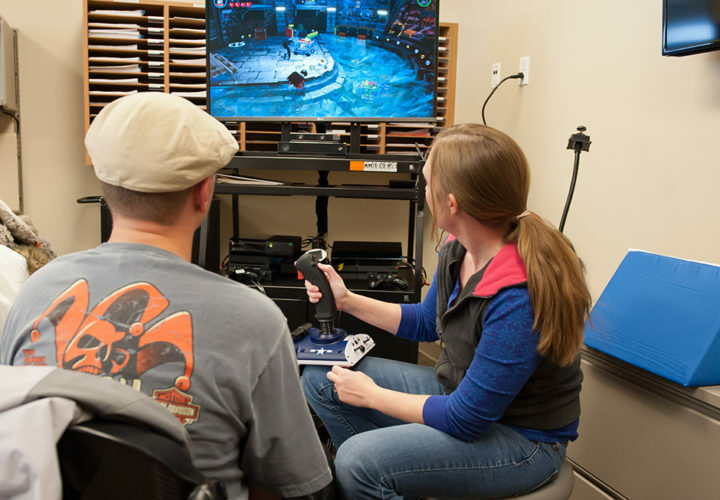 Increasing upper extremity ability though gaming can help with eating, dressing, bathing, and other functional activities. 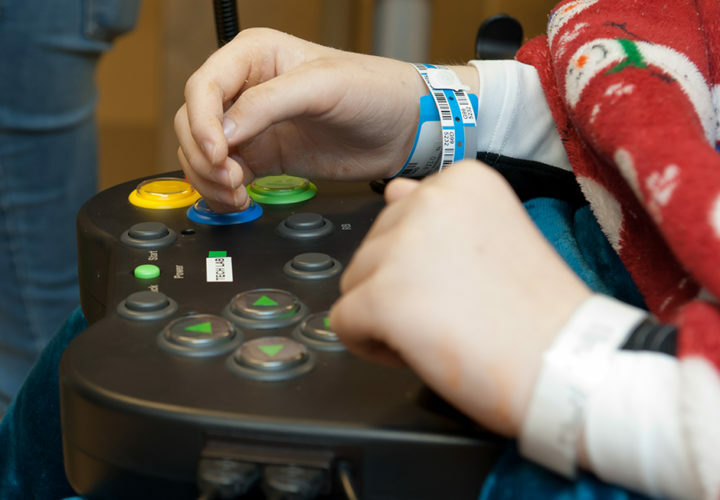 In this sense, the game motivates patients to make progress towards independence. 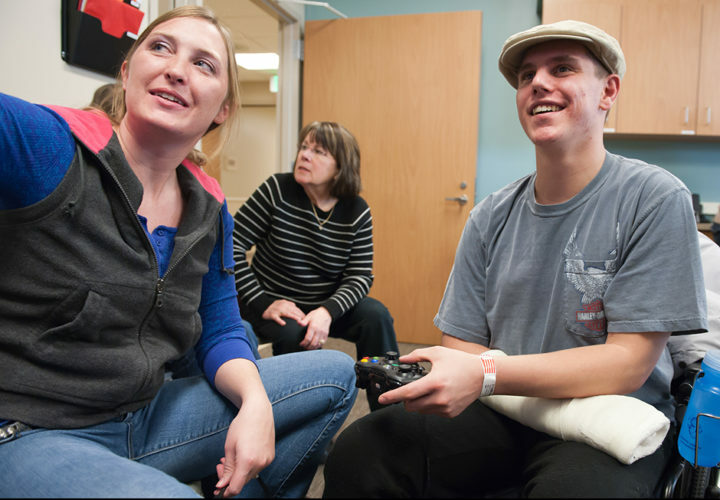 The gaming project has the potential to nurture relationships established between Craig patients and allow them to stay in contact by gaming online after discharge and serve as motivation to return to a full and active life. It’s beyond entertainment. In a video game, you can be a race car driver or a hunter, expanding your experience and strengthening you emotionally. Once you’ve done it virtually, you might be motivated to try that experience in real life—something Craig can help you to achieve.